Slovak Investment Holding became one of investors in the Slovak reputable hi-tech company GA Drilling. The investment has been completed on March 22nd by signing a contract. GA Drilling is a world pioneer in developing innovative technology for contactless drilling and milling based on electric plasma. The company opens new opportunities in the market of geothermal energy, environmental plug and abandonment of oil wells, tunnelling and exploration of raw minerals. GA Drilling (GAD) has opened the 2nd round of series „B“ fundraising for increasing its basic capital. The aim is to fulfill the company’s growth potential and to commercionalise the first application of technology for oil & gas industry. There have been several considerable investors interested in acquiring a share, including the Slovak Investment Holding (SIH). 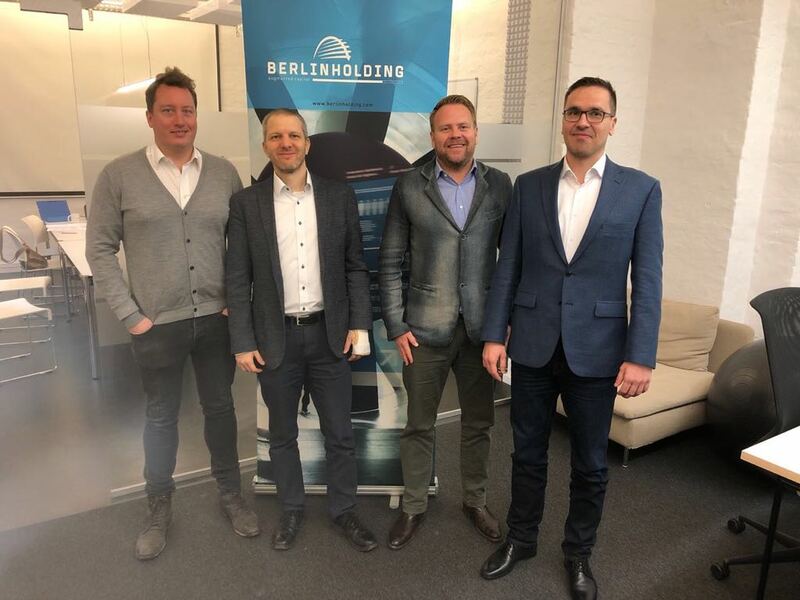 Yesterday the investment contract has been signed in Berlin. 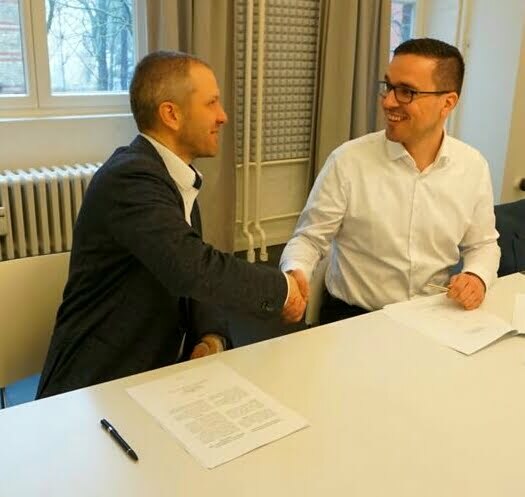 Hereby, GAD has signed investment contracts with a German investment group led by Berlin Technologie Holding GmbH and with American investor Ted Halstead. “As technology investors, we seek new ways to disrupt entire industries and that can have a positive impact to change the world. GA Drilling has the potential to do both. It significantly improves existing industries but also enables geo thermal to become the world’s cleanest and cheapest energy source. Its potential will become an interest not only of industry leaders but also of national governments,” says Joern-Carlos Kuntze, Managing Partner, Berlin Technologie Holding. “This is the clean technology breakthrough we have been waiting for. Once fully developed, it could do wonders to protect our global climate, and to improve the lives of citizens all over the world,“ Ted Halstead, climate expert, comments on his investment. “I would like to express my joy in the investment to the capital of GA Drilling. We are happy to help the company to attract more investors,“ says general director of the Slovak Investment Holding Ivan Lesay. SIH and GAD agreed on repyable form of financing, using innovative financial tool from the European Structural and Investment Funds. SIH investment have been prepared in cooperation with prestigious external investment consultants (due diligence). “We consider investment into the highly innovative technology company GA Drilling as our contribution to the consistent transformation the Slovakia into innovative and sustainable economy, focused on products and services with higher added value,“ summs up Lesay. Slovak Investment Holding prepares even more capital investments to innovative small and medium enterprises. SIH is a company in 100% ownership of the Slovak republic. Its main mission is to support strategic public and private investments in Slovakia in the area of infrastructure, energy efficiency, waste management and renewable energy sources, social economics and small and medium enterprises. They implement financial resources from European Structural and Investment Funds in repayable form, not by grants. GA Drilling is the Slovak hi-tech company founded in 2008, developing a revolutionary electric plasma technology called PLASMABIT to change a global energy mix. PLASMABIT technology is able to drill deeper than it was profitable till now and, therefore, to provide access to geothermal energy source, making 70% of the most populated earth´s areas. PLASMABIT has a potential to radically change other industry segments too – plug and abandonment of the old wells in oil & gas industry, tunnelling, mining exploration, mining minerals and others. One of the strategic partners of GAD is Schoeller-Bleckmann Oilfield Equipment, the Austrian technology leader of the extractive industry. In 2018 GA Drilling successfully passed a final evaluation of international project competition, aspiring for support from InnoEnergy an association of industry companies, focused on energy innovations support.